At Elder Law & Estate Planning Solutions of the Piedmont, we want to help you make sure that your family is protected in the event of emergencies. Although it’s understandable that many people don’t want to contemplate worst-case scenarios, it’s better to consider tragic hypotheticals than to be blindsided by tragic realities. 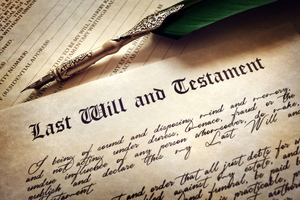 In the event that you die without a last will and testament, the state will decide what happens to your estate after your death. You can ensure that your wishes for your property are carried out after your passing by making a will, and the easiest kind of will to make is called a simple will. Simple wills are legal documents that detail your wishes for how your property gets distributed after your death. In a simple will, you name an executor, the person who will be in charge of handling your estate. If you have minor children, simple wills can also be used to name a guardian for them, as well as to name someone who will handle financial affairs until they come of age. Depending on your needs, a simple will may not be the way to go. Deciding whether to go with a simple or complex will depends on two main considerations: first, are you under 50 years of age and in good health? And second, is your estate small enough to be exempt from estate taxes? If the answer to both questions is yes, a simple will is likely to meet your needs, but if you’re still unsure you can always consult our team at Elder Law & Estate Planning Solutions of the Piedmont to see which type of will is right for you. We’ll help you get all your affairs in order to make sure that your wishes are carried out and that your family is provided for in the event of your passing.